We are happy to announce that our head PT Mai Nomura has made a Japanese athletes crew called FFC - Gear up for greatness. Our next training session is 7th Oct 2:00-3:30pm. Spots are almost fully booked! • Training on a regular basis or have a sports background and are willing to improve your performance and skills. • Highly motivated with a strong mindset, who wants to stick with an active lifestyle for the long term. • Wanting to be a part of high quality gym crew, with a great atmosphere. We train with a purpose. We shift gears to improve our quality of life. Contact Mai for further information. *We require that all trainees must have training experience, or at least some background in sports. We had another special night at Jetts hosted by Style Gear on Thursday 14th September. We were joined by BSC with some great giveaways. Plus a free sampling hydration station! We had an awesome group training session, hosted by Mai. A Big thanks to everyone who came along and worked so hard. Plus a special thanks to BSC for helping us to put on such great collaboration events. Spots are always limited so please contact Mai and book your spot to join us on the next event. Group Training Session. $10 Per Person. Come along and join us for a great girls night group training session with Mai. Remember to dress in Pink! Contact Mai for more details! Our Night with BSC was a great success! Below are a few photos from the night. A massive thank you to everyone who came along to participate. Also a big thanks to BSC for helping us to put on such a memorable night and for supplying so many amazing samples. We know everyone is looking forward to the next one! A special night at Jetts hosted by Style Gear on Thursday 29th June. We are going to be joined by BSC from 5.30pm, with giveaways, free pre, intra and post-workout supplements. Plus a free sampling hydration station! There will be a group training session, hosted by Mai from 6.00pm–6.30pm. Spots will be limited so please contact Mai and book your spot. Our mid year social night was a great success! A special thank you to everyone who came along. We're so happy to have you train with us and celebrate with us. Lets now work hard and pump the rest of the year together! Style Gear was super excited to host Australian Sports Nutrition (ASN) on 27th April. 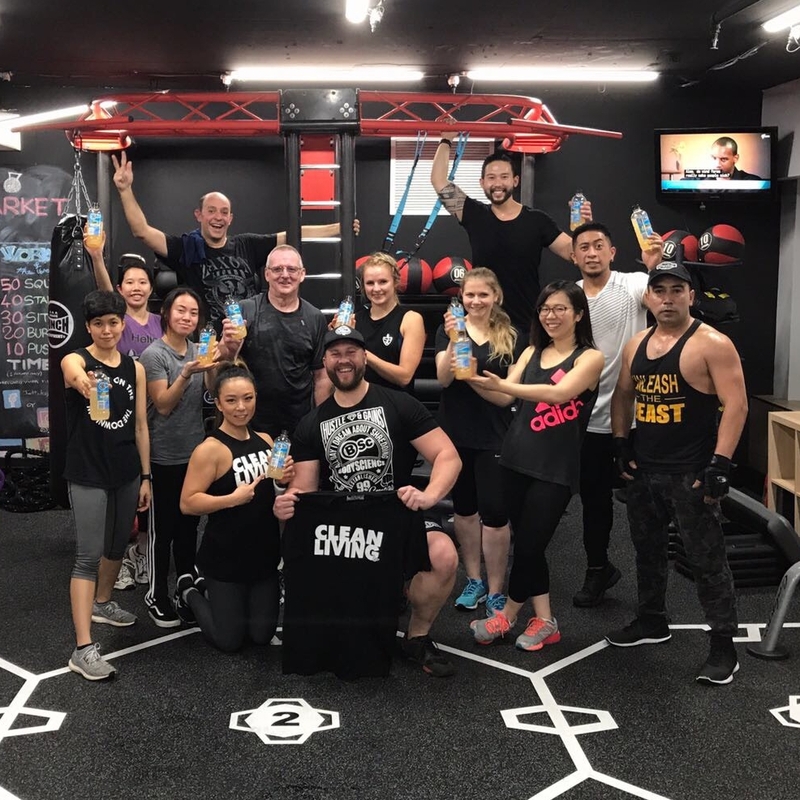 We had an amazing group training session with some great samples and giveaways. A big thank you to ASN, plus everyone who came along and made this night so awesome! Sign up to stay informed for upcoming events! get involved, make new friends and get fit!